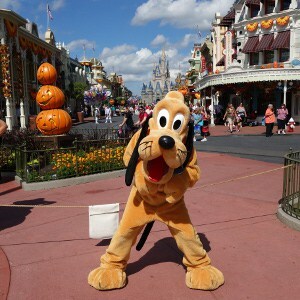 Walt Disney World currently offers more than 60 different characters that one can meet on the regular schedule. That doesn’t include all the RARE/RANDOM and UNCOMMON characters that one might find at Places like Character Palooza, Frontierland Hoedown or Epcot Training. Some characters are easy to find and offer fairly short lines, while others may be difficult to locate (for non-KtP users) and may not have any public schedules offered. Here’s my top 12 most difficult Disney World Characters to meet that offer a REGULAR meet and greet. Early in the morning Mulan’s wait times are pretty low, maybe 10-15 minutes, but later in the afternoon it could be 30 minutes or more. During the morning set, Mulan usually meets in the front of the China pavilion to help draw guests into the pavilion. In the afternoon, you’ll often find her next to the Temple of Heaven in the shady area to the left. I recommend meeting her earlier in the day to avoid waiting. Jasmine often appears at both Akershus Royal Banquet Hall and Cinderella’s Royal Table, but to find the couple together, you’ll need to meet them at the Magic Kingdom or Epcot. The lines at the Magic Kingdom are usually cut off well before the set ends and often there’s a hold-over line for the next meet and greet. The lines at Epcot aren’t as bad right now as they used to be. The used to meet near the water in full view of guests, now they meet in the very back of the Morocco pavilion right across from Restauant Marakkesh. It’s an air-conditioned meet, but most of the line is outdoors. I still recommend getting in line for Aladdin and Jasmine early in the day at both locations. Ariel’s new meet area inside Fantasyland Forest (New Fantasyland ) offers a constant flow meet and greet opportunity, but the lines are still long at times. She appears in fin form at this location. The Magic Kingdom greatly increased capacity at this location, but she’s just as popular as ever! At mid-day in the summer the wait time posted will usually be 35-60 minutes. I recommend using a fastpass+ or going in the first or last hour of operation. Ariel can often be found at Akershus Royal Banquet Hall and Cinderella’s Royal Table, she wears her seafoam green dress at these locations. “Kenny, why would you think Pluto is difficult to meet here? He is standing right at the park entrance.” We’re not discussing how difficult their location is to find, but how long you would actually wait to meet them. Within 10 minutes of park opening these two (or any two) characters located at the Flag Pole will have a 15-25 minute line each. (Minnie Mouse typically takes Marie’s spot for the first couple hours of park operation). If you don’t head straight there at rope drop, you could spend 30-60 minutes waiting to visit only two characters. The best way to over come this is to come back shortly before they return from their break. I certainly wouldn’t want to stand in the blazing sun with no shade anywhere near to meet two characters with that long of a wait. The Tremaine Family doesn’t usually offer the longest lines in the Magic Kingdom, but they can be located either behind the Castle or near the Fantasyland Wall. The reason it’s tricky to meet Anastasia, Drizella and Lady Tremaine in the Magic Kingdom is because it’s difficult to find their schedules! Many of the character attendants don’t even have it. The schedule isn’t listed in the Magic Kingdom Times Guide and it’s not listed on Disney World’s website. The Tremaine family can only be found here and at 1900 Park Fare for Dinner. See that information about the Tremaine family? Well, let’s just reapply that here, rather than copying and pasting it. 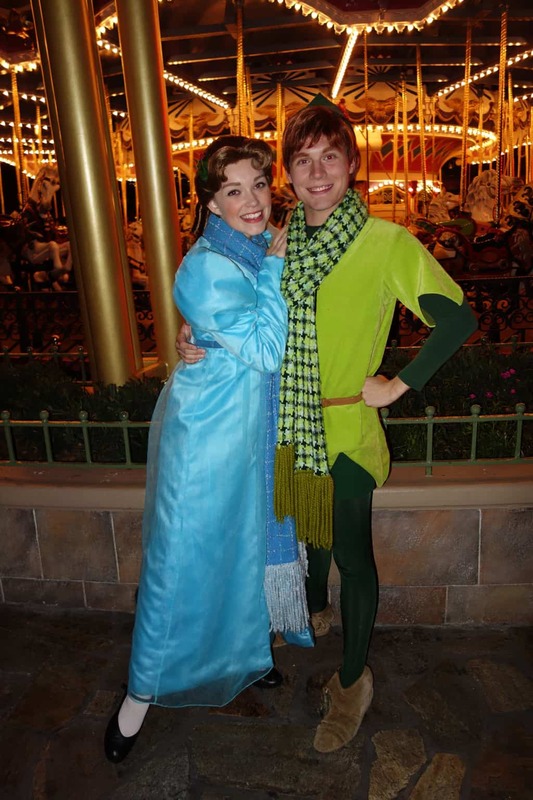 Peter Pan is only available at the Magic Kingdom for a few hours per day. His schedule is often listed as “intermittent.” Characters aren’t windshield wipers, they don’t operate “intermittently.” They have a schedule and it’s listed on the Character Locator. Peter Pan is only available here or at the end of your Pirate’s and Pal’s experience. It’s really kind of funny because Snow White rarely has a long line in the Magic Kingdom. She’s a little out of the way next to City Hall there and most guests don’t see her, so they don’t meet her. She only meet until mid-day at Magic Kingdom. In Epcot, she is located to the left of the Germany pavilion behind Karmell Kuche next to a cute little wishing well, which is in full view of the guests. If you wait to meet characters at Walt Disney World very often, you’ll hear, “Oh look, there’s CHARACTERX! Let’s go meet!” To avoid the lines at this location, arrive early in the day. You could easily use my Princess Touring Plan to aid you on Epcot Princess meets. 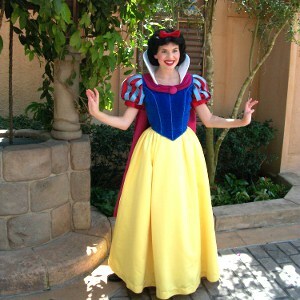 Snow White also meets at Akershus Royal Banquet Hall and Cinderella’s Royal Table and wears the same dress at all locations. Buzz and Woody regularly offer some of the longest character wait times in Hollywood Studios. They are located right across from Toy Story Mania, so that adds to the visibility of the meet, but guests, in general, like meeting these two Toys together. The little sign out front will regularly state a wait of 30-45 minutes, but it’s not always accurate. I waited from the door with a full room and found the wait to be 65 minutes, when it was posted at 45. The things I do for you guys! I recommend that you arrive 45 minutes before Rope Drop and head straight to Buzz and Woody, then immediately ride Toy Story Midway Mania via regular stand by line. Buzz meets by himself at the Magic Kingdom. Woody and Jessie meet together in the Magic Kingdom. Prince Naveen can be difficult to meet because he is only available from 5:00 PM onward at the Magic Kingdom. He meets with Tiana and doesn’t meet anywhere else in Walt Disney World. There is often a stand by line for the couple for each late afternoon meet. He’s a lot of fun to interact with and can make some interesting photos at times too. There’s really no great trick to meeting him, but you might want to check in around 4:30 PM to see if the line is already forming. There are only three opportunities to meet Belle in Walt Disney World. She appears in her Enchanted Tales with Belle experience in the Magic Kingdom and will quickly pose for a photo, but no autographs. She appears for all three meals at Akershus Royal Banquet Hall. where she is the formal greeter for the location and appears in her gold dress. These Princess meals are only ONE Table service credit per person, so it’s a much better value than Cinderella’s Royal Table and you get to meet Belle, get a signature and don’t feel rushed. A credit card is required to hold the reservation. I personally don’t like the lunch and dinner food, but I’m a very picky, “Meat and potatoes” eater. The breakfast isn’t bad at all because it’s mostly American style food. The final way to meet Belle is to locate her in France in Epcot. She meets in her blue smock at this location. I recommend going straight here when the World Showcase opens for the day at 11:00 AM. There are times when she has lines that hold over for two or three meets, so the lines can, at times, become extremely long. 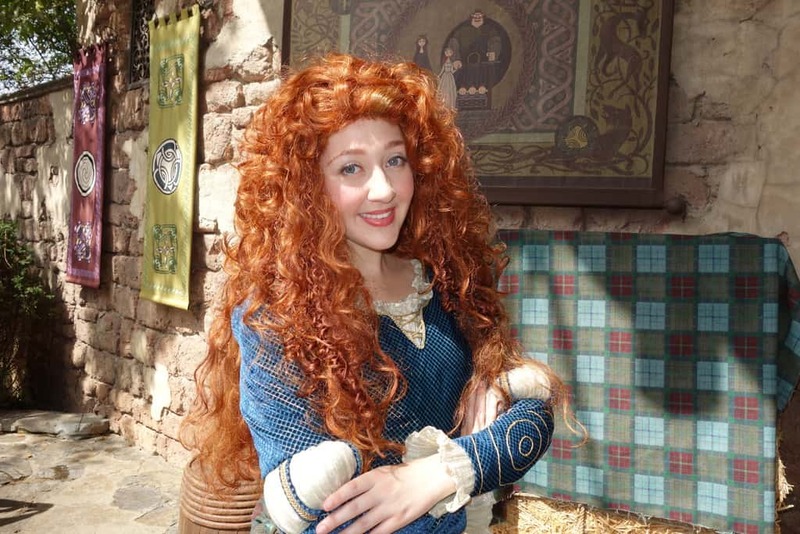 Merida regularly has among the longest character lines in the Magic Kingdom. One could easily expect to wait 45 to 90 minutes or more to meet her if they don’t go straight there at rope drop. The line can be deceiving too. It usually reaches back to the wishing well, which doesn’t look that long, but the area inside the Fairytale Garden is just pretty long too. I highly recommend using one of your Magic Kingdom rope drop days to meet Merida or expect to wait a long time, mostly in the sun. Once you enter the meet area the kids are entertained by shooting fluffy tipped arrows and coloring while you stand in line for them. Her three bear brothers were retired a few months ago. This is Merida’s only meet and greet. 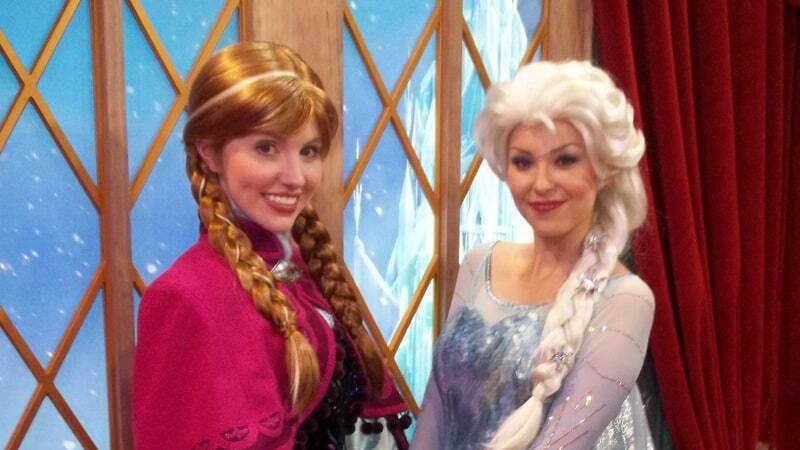 Anna and Elsa came from obscurity to the most popular characters Walt Disney World has ever seen. People were waiting in line upward of 5 hours or more in Epcot, so they moved the Frozen sisters to the Magic Kingdom and offered Fastpass. They limited their schedules from park open to 5:00pm, so the lines were still insane. People scramble 60 days before their vacation at midnight to book Fastpass+ for this meet. Disney extended the meet from park open to 30 minutes before closing, but people are still waiting 1 to 2 hours to meet them despite the fact they added more schedule and more FP+. Since mid 2016 Anna and Elsa are no longer that difficult. They moved back to Epcot with a new meet and greet area and usually can be met in 30 minutes or less. What characters have you found to be difficult to meet or locate at Disney World? Wow, I must really lucky or really patient as I have had photos with all the characters you listed. 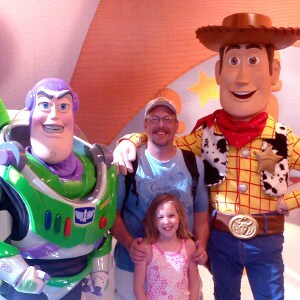 The only technically missed photo is that my pics with Woody and Buzz were separate. But it’s cool to know that I’ve met all on the list. Character greets are one of my favorite parts of Disney. A few years ago we got to see Snow White at the Germany pavilion. A squirrel ran at her and she screamed. My daughter was like, “but you love animals.” It was so funny. I was there two weeks ago. I can safely say that you can longer do the “Look there’s a character” method. I saw Baloo (sp?) and King Louie walking to a location. I tried to run up and get a picture (he was always my favorite….to the point where that’s what I named my horse) and I got debowed by their security team telling me that we had to go to their certain location. We’ll be visiting in October and have tickets for the Mickey Not So Scary Halloween event (Tuesday night). I saw on your map that Merida is at this event, is her line super long here like it is during the day or would this be a better option to see her. She’s on my daughter’s must meet list!! Thanks for your advice, this is a great site! Really depends upon what other party characters you want. Her line is manageable at night though. We could not meet mulan at epcot last year because of the long waiting Line…but luckily we could meet her at the character palooza, we could also meet belle in blue dress there! He is only at Be Our Guest dinner. Mulan is easy to meet if you go to first set, Belle is same. is there an olaf character walking around? Only Disneyland at this time. All characters are listed on http://www.characterlocator.com BTW, characters at WDW don’t just walk around. They all have set locations. If you can’t get a fastpass what is the best time to meet Anna and Elsa? Park opening or park closing. I have always wanted to be able to get a photo with Steamboat Willie, but the best I could ever get was with a cut out figure of him. Funny thing, when I had asked a cast member if a photo with this character was possible, the cast member had no idea who Steamboat Willie is. Where,s the best place to met rabbit, from Winnie the pooh, I,ve met tigger,Eeyore,piglet,and pooh, but never rabbit. Rabbit is rare. He randomly pops up at the Epcot and Magic Kingdom meets, but no way of knowing in advance. Thanks to you Kenny we were second in line for Mulan and Pocahontas and with our fast pass we waited five minutes for Anna and Elsa…..
That’s how it’s done Casey! Good job. I could not get a fast pass for Anna and Elsa even though I got on at midnight. We have Cinderella’s breakfast reservation for 8 and the park opens at 9. We are planning on heading straight there after breakfast. Any idea how long breakfast takes there? Or do you know if they will do the passes to return again since they tried it for 3 days? Any suggestions would be helpful. Thanks! I recommend spending 90 minutes at the Castle. It’s very expensive and you shouldn’t rush it to try to save time in line for A&E. Just visit A&E late at night before closing for the shortest wait. I’m sure they will re-implement that test in some form in the future, but don’t know when. Thanks! I managed to finally get a fast pass to meet them in the afternoon on the day of our visit. Eeyore is rare now. Out of all the parks can only be found at the Crystal Palace or at one of the two holiday parties. I call that other method “See a character, meet a character.” That method results in the longest lines possible. Kenny thanks for all the great info. I am going to DW in September and I will be using this information to meet my top ten…..I really didn’t think Mulan would be a long line meet so I am glad I read this! Keep up the good work! I met Mulan out front of China pavilion using Kenny’s info. We waited 20 minutes in the sun for her to show up, but we were 2nd in line. I would say eeyore is tough. Impossible if you don’t go to Crystal Palace. Mike, you’re correct that he is rare, but this post deals with characters that have regular schedules and rank them based on difficulty. Check out my rare characters post. Just want to thank you again for posts like this. I was able to meet naveen for the first time last year because of your page last year and i met him again yesterday using your times guide. Also the anna and elsa line from what i can tell goes from 100+ minutes down to 90 right around the 9:00 pm electrical parade and during wishes but goes right back up after its over just a tip. i wated 150 minutes for them yesterday lol. 1. )I met Anna and Elsa by having an ADR to CP and being right on the rope for rope drop behind the castle. 10 minute wait. 3.) I saw Belle at Enchanted Times with Belle, Characterpalooza, and Epcot, but was unable to actually meet her personally. 8.) Met the Tremaine family and we proposed to the stepsisters. 10.) Met and DH sang to her. 11.) Met them after a second attempt in Morocco. 12.) I could only met Mulan at characterpalooza. We met Aladdin & Jasmine together at Hollywood Studios, do they not normally meet together there? We did find that if we went to Peter Pan at rope drop, by the time we would exit the ride they were opening up their meet/greet each morning with little to no wait on the other side of the ride facing Rapunzel’s tower. We’ll definitely be using your app next trip to hit up some of these characters, I didn’t even realize Marie met at MK, wish I had found your site before our trip in May! You met them at Character Palooza. Peter Pan’s schedule has changed since your visit. Thanks for sharing! mary poppins was my one to hunt down. asking everyone i talked to on the phone. i found her one day, my only disappointment was no photo pass person. she is all alone. Mary never uses Photopass due to license restrictions. I did not realize my Mary Photopass from 2007 was so valuable (1900 Park Faire breakfast). I can’t wait to tell my daughter. We though Pocahontas was really hard to track down! Eventually found her though. Can’t wait to go back next year!! On Marie and Pluto, you can catch them near the Christmas parade. I saw them dancing in the crowd last December. Aladdin and Jasmine had super long lines too, but they were cute together. We Met Naveen By Himself In Epcot This PaSt April. Training meet, completely unscheduled. Thanks for sharing! Thanks to your app, we were able to meet all of these (except Peter Pan and Wendy) without long waits in January! We pretty much had to stalk Mulan and the Tremaines so I’d say those were the hardest! I met the tremaine family and wendy at epcot In December. They were at the back entrance. There was no line either. You met them at a training meet. Nice job locating! They were fabulous! We also met mary poppins in the same spot. I liked it because we were on our honeymoon so we were able to spend time with the characters and have more interaction. Loved it! Kenny, What is the Epcot Training? Character, attendants and photopass. If you type those words into the search on top right there’s a detailed description. When we were there recently, We came into MK right after the welcome show and marched right to the flagpole to see Marie. The two photo pass attendants were there for her and Pluto, but after waiting 10 minutes or so finally an attendant came out and told us they wouldn’t be out for another half hour. We shopped and came back and got her luckily! I will be getting your app before we head out for our holiday trip…It is on my planning checklist…I already have been recording tips and am excited to see characters we did not see the last visits. For us Pocahontas was a hard meet…but the CM told us right were to go and get her. Daughter has met all the princess except Merida and she is next on the list. Thanks. love reading your blog. my daughter would love to meet Bolt is he still around ? Thanks to your app we were always 1st or 2nd in line for each of our character meet and greets except for a couple. One of best fastest meets was with Meirda. We had 8 am reservations for BBB for our two girls before park opened at 9 am. BBB got the hair done in 17 minutes, so we went and got photos in front of the castle and then walked over to where Merida meets with us being 1st in line, which was perfect for my 6 year old red head dressed as Meirda. Had a little wait before they let us in, but our girls were entertained by a princess photo shoot taking place near by. Very neat to watch! Even had time to meet Fairy Godmother before our breakfast reservations at 9:55. Only problem Fairy Godmother was a no show. Definitely recommend Pete Silly Side Show and the Fairies late at night while people are lining up for parade and fireworks. Walked right in for meets, and on rides, too all because our 3 year old is afraid of fireworks. Worked to our advantage! Thanks for sharing! Glad I got to help your trip be a little better. I’ll tell the Fairy Godmother to be prompt and show up for work when I see her again. I would agree with Mulan – our last trip in February it took 3 times. We followed your schedule AND it was posted under normal times, however we kept arriving only to find it cancelled. Then the third time we moved her so we almost missed it altogether. Frustrating when your 5 year old has hear heart set on Mulan, but we tracked her down. It does get frustrating when they cancel meets. Dining gets priority on call-ins. I’ve been in the MK when a “flu” broke out and a lot of CMs called in a many characters missed their first couple of sets. We got lucky on one visit to Epcot. It was very rainy and a lot of stuff was stopped as far as entertainment. We went inside where they do the around china theatre and Mulan was in there with Mushu. I have never seen him since but this was in 2008 as well. I guess they felt bad for people who toughed out the horrible rain. Wow, I never knew that Wendy meets in the park. We’ve been 4 times and have never seen her! Peter Pan alone was pretty tricky to find as none of the CM’s we asked knew when exactly he’d be out. Yes, Wendy returned a couple months back. Thanks to your site, Kenny, we had short lines for Merida, Ariel, Buzz and Woody and Mulan, all done early or first thing. Aladdin and Jasmine took awhile because they take a lot of time chatting up each group. Both meet & greets led to the best parts of my family’s vacation with interaction with the same characters later on in the parade. Thanks Corey. Glad you had a great time! They don’t offer regular meets. They never meet at WDW anymore outside of Limited Time Magic. Post was concerning regular meets. Have always encountered long lines for Tink during the day. Caught her one night as EMH was closing down at 1:00 a.m. We were on our way out o MK via Adventureland. I waited 45+ minutes for Tink 2 times at her old place in Adventureland Sept 2013. Thank goodness it was inside, and there was a screen on a loop for the kids to watch. Is the wait time going to be that much shorter now that she is moved? Wait times have dropped in comparison, but they also offer FP+, so that makes it even easier.